This entry was posted in Where in the Heck is it? and tagged circa 1900, Where in the Heck is it?. Bookmark the permalink. 2 Responses to Where in the Heck is it? Front Street. 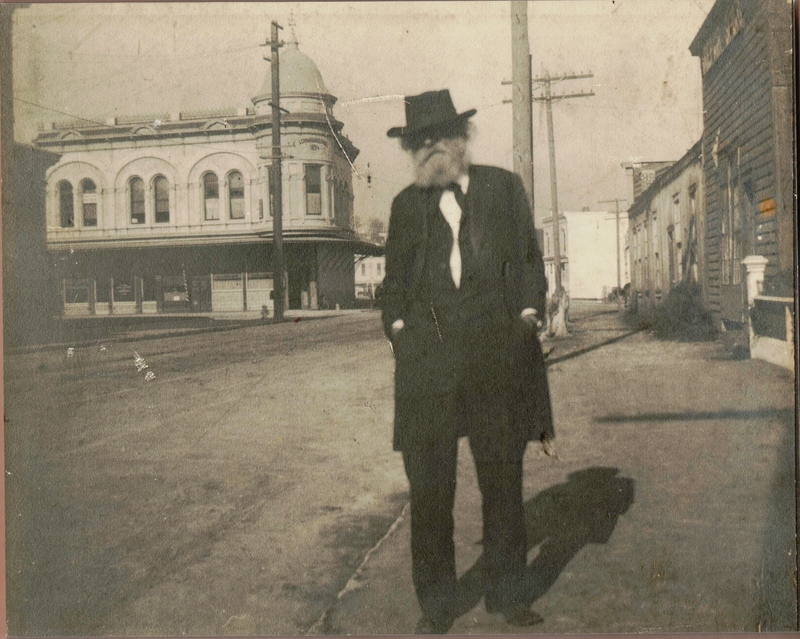 The Leonard Building built in 1894 by Edward Van Cleeck in the back of the photo (corner of Front and Cooper Streets) sold in 2012 for 1.75 Million to local Attorney Edward Newman. You can see a small corner of the Octagon Building on the left.